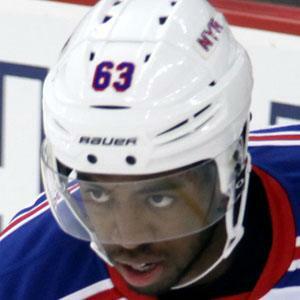 Canadian hockey player who was taken in the third round of the 2013 NHL Entry Draft by the New York Rangers. In 2012, he won a gold medal representing Canada at the Ivan Hlinka Memorial Tournament. He was born in Montreal and played for the Lac St-Louis Lions in the Hockey Quebec league in 2010-11. He was named a Quebec Major Junior Hockey League First Team All-Star for the 2013-14 season while playing with the Quebec Remparts. Both of his parents are from Haiti. He has been coached by Alain Vigneault in New York.